How should I protect my iPad in the field? 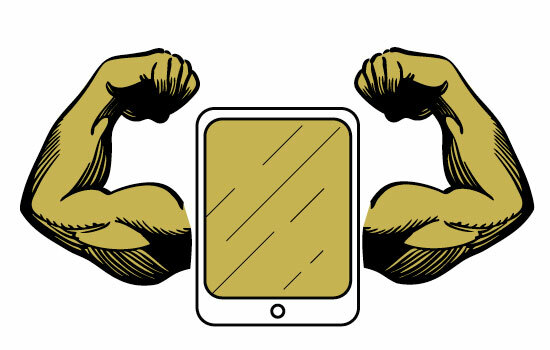 No matter what size your operation is, outfitting your workforce with Apple iPads represents an investment. We’ve staked our business on the idea that it’s an investment that will increase productivity and slash the amount of time spent on industry-mandated documentation. From talking to our customers, it looks like TruQC is delivering. But to be sure that ROI stays high, customers need to be sure their hardware will hold up under the conditions in which they work. How do I keep my iPad from being destroyed in the field? That’s a question we get from a lot of potential customers. As iPad’s become increasingly useful in a number of settings, companies are realizing that not everyone’s workspace resembles a 6 x 6 cube. If there’s a little less carpet, and a lot more fresh air, in the place you call your office, what’s the best way to keep your iPad from succumbing to more rough-and-tumble conditions? Luckily, there are a number of companies vying to be the one in charge of protecting your iPad. There are a ton of options for heavy-duty protective cases on the market. All of the players in this market are striving for the title of toughest iPad case ever made, which can only benefit the consumer. But the sheer number of options available when selecting a case can also make the process confusing. Just remember that when selecting a case to protect your iPad in the field, trusted brands have usually earned their status for a reason. Brands like Otterbox, LifeProof, Griffin and Pelican have made names for themselves by successfully producing heavy-duty protected cases for all sorts of devices. They probably wouldn’t be so widely known if they didn’t work. Another good tip for selecting the case that will protect your hardware, ALWAYS read the reviews. If they look like they’ve been intentionally inflated, or you don’t trust the ones on a specific vendor’s site, try a third-party retailer like Amazon.com. People are generally eager to praise products that work and call out those that don’t. Besides protective cases, there are other iPad accessories designed to keep your device around, and in one piece, for longer. Many of our clients regularly find themselves scaling bridges or suspended beneath overpasses. They often find themselves in situations where they need their device on-hand, but they simply don’t have a hand to dedicate to holding it. Here’s where an iPad harness may come in handy. This accessory can be worn over the shoulder and frees up your hands for other tasks. If it’s long-term travel that worries you, some companies offer extremely heavy-duty protective backpacks and luggage for toting your device. While these will be overkill for most operations, if you’re paranoid about your device it’s possible to get backpacks that are lockable, crush-proof and even waterproof when submerged for up to 30 minutes. That’s some serious protection. To discuss protecting your device, or any other concerns you may have, get in touch with TruQC. Or if you want to learn more about the importance of an integrated app for quality control on the job site, download our guide below.